So light & easy to fold. Love this chair and can't fault it at all. 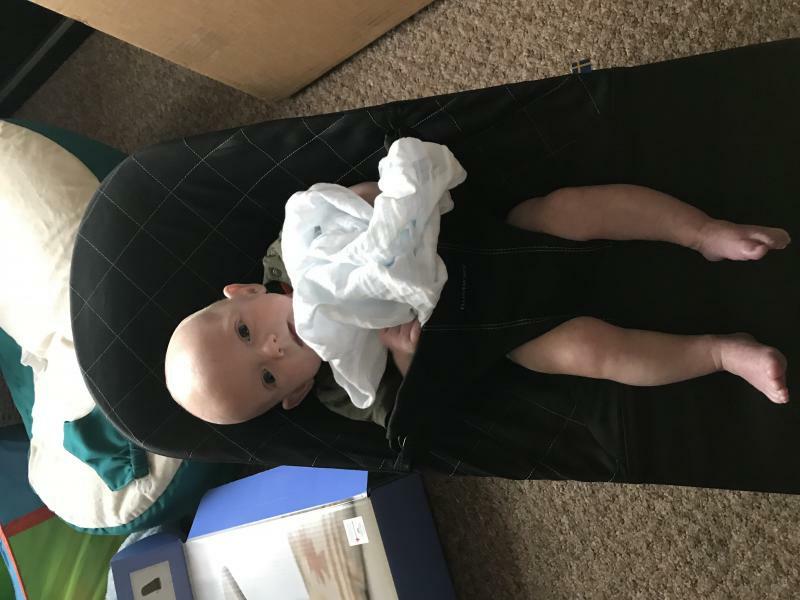 It's the only chair my son would stay settled in, he kicks his legs to bounce its, looks very comfortable and absolutely loves it. It cleans incredibly easy just pull It of the frame straight into the wash and drys very fast. I take this chair everywhere with me due to its easy fold. 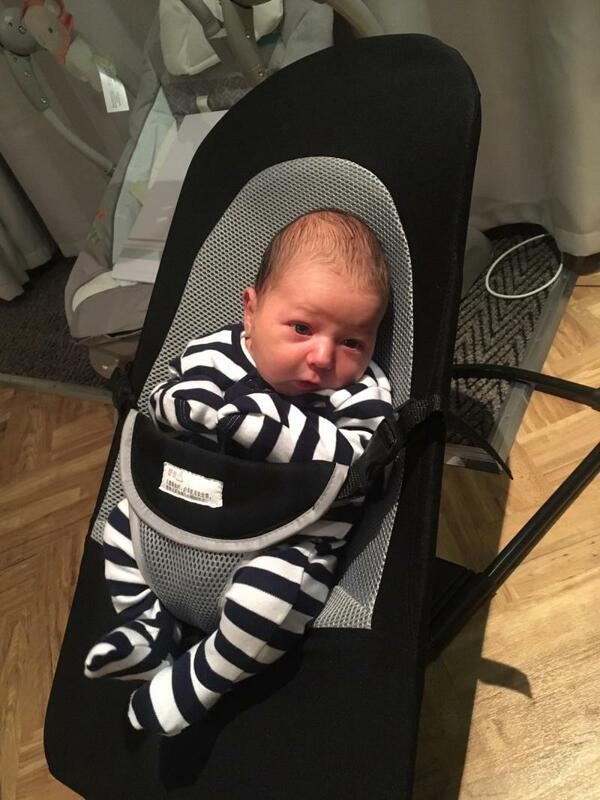 Simple yet well made bouncer, with a quality you would expect from Baby Bjorn. Easy to fold flat for storage and adjust to different angles as your baby grows. The 3.5kg minimum weight should mean most babys can use from a few weeks. 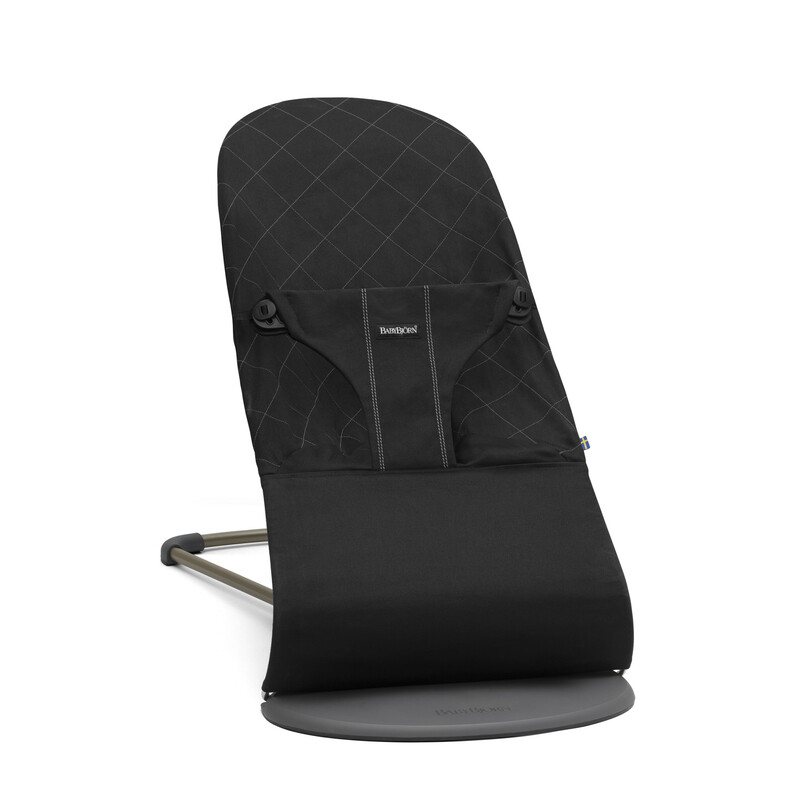 Mesh cover is easy to remove and clean, and can be reversed to extend the life of the product by turning it into a chair for your little one. Harness is safe and secure, but can be a little fiddly. Only downside is that it’s quite expensive, as are any toy attachments. The baby and I both love this bouncer. I think it looks great and is very convenient to use. The baby is comfortable in it and has an occasional nap there. For some odd reason she has nappy leaks whenever shes in it though, but it's okay as it's super easy to clean. Just slide it off and stick it to the washing machine. It's quite easy to switch between the 3 positions. Although the with the lowest position my baby's bum is against the floor since she was like 3 mo but I guess that's mostly for sleeping anyway so it doesn't really bother us. Easy to fold away as well. Only downside for me is the price, it's rather expensive for a basic design. However I knew that when buying it and still chose to go for it. Looks fab and my baby loves bouncing in it. What a lovely bouncer! V stylish, looks great in the house and isn't garish like so many baby items. My daughter loves bouncing in it and it's been a lifesaver for me as she sits happily in it while I have a shower. Price is the only drawback but there items keep their value so you can sell on when your kids are too big for it. 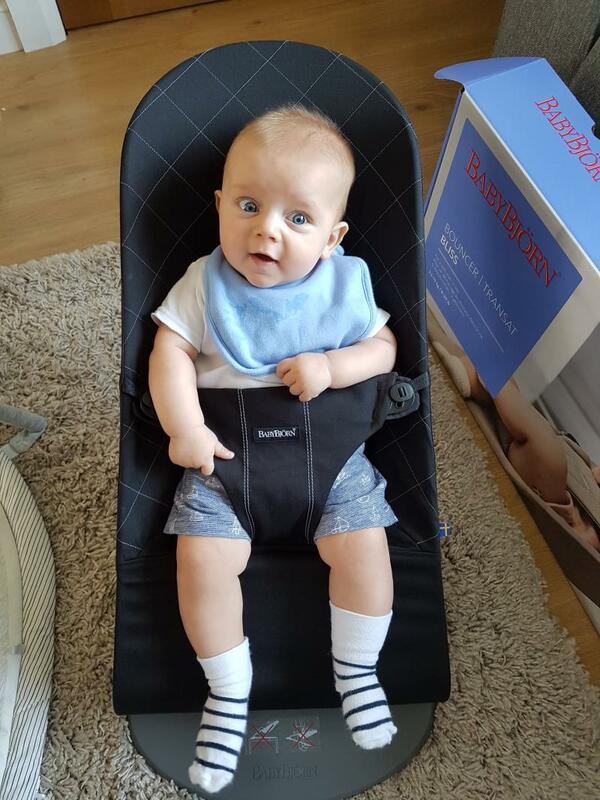 I have purchased 2 bouncers - the first is only suitable for up to 6 months so I decided to go for the Baby Bjorn. Even though this one doesn't have the vibrate features like the other bouncer I have, we will get more use out of it long term. It is on the expensive side but as it will last for up to 2 years I thought it was worth the money. The quality is fantastic and I went for the limited edition Mint colour which I love! My favourite thing is that it folds flat so it is really easy to put away when we are not using it and is also great if we want to take it with us when visiting family. For me this is one of my best buys! I brought this bouncer when my baby was about 6 weeks old after not getting along with our old one but wish I had brought it sooner. It is expensive but I would say it is worth it and would definitely use it again for future children. We live in a small house and this product ticked all the boxes for us. I loved the fact that it folded flat for storage when not in use and that it was also perfect to take when visiting relatives. The bouncer itself looks very basic however it is so effortless to bounce the baby in it and he always falls asleep happily in there. It is perfect for mealtimes as you can bounce them gently with your foot while you are eating. This bouncer has been an absolute lifesaver as it has enabled me to get jobs done while baby sits happily. It is so light and compact which means it is easy to move from room to room. I have already recommended it to several friends. The BabyBjorn Bouncer is on my must have list for any new parent, its worth its weight in gold! The bouncer is so useful, easy to take away as packs down flat and washes well. 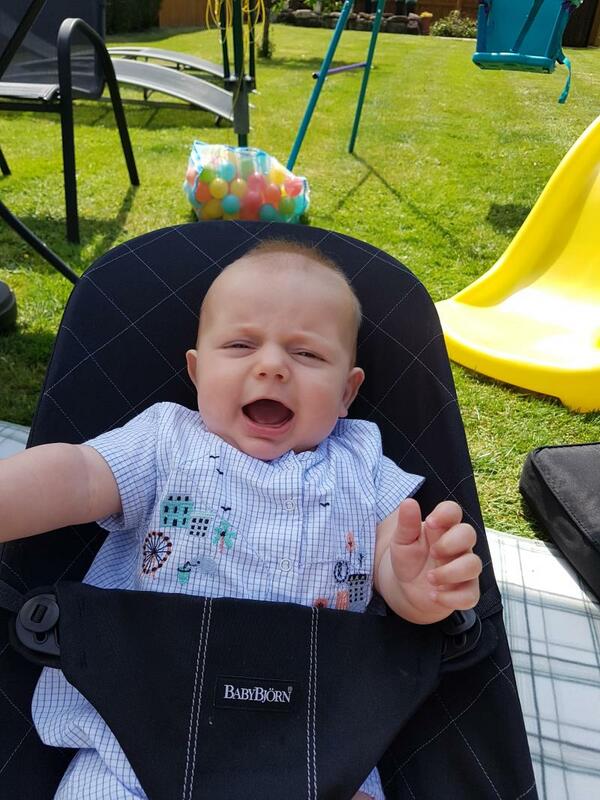 It was one of the only items our baby was happy in as he suffered from reflux, so the raised position for a short time after feeding was life changing. The bouncing relaxed him and he often nodded off he was so content. Its the perfect accessory if you want to enjoy mealtime you can just pop your baby in their bouncer and relax, knowing they're safely strapped in. You can also purchase a toy bar which is great for a distraction tool! I love mine so much I have 2! A very stylish and simple design that my little boy loved. 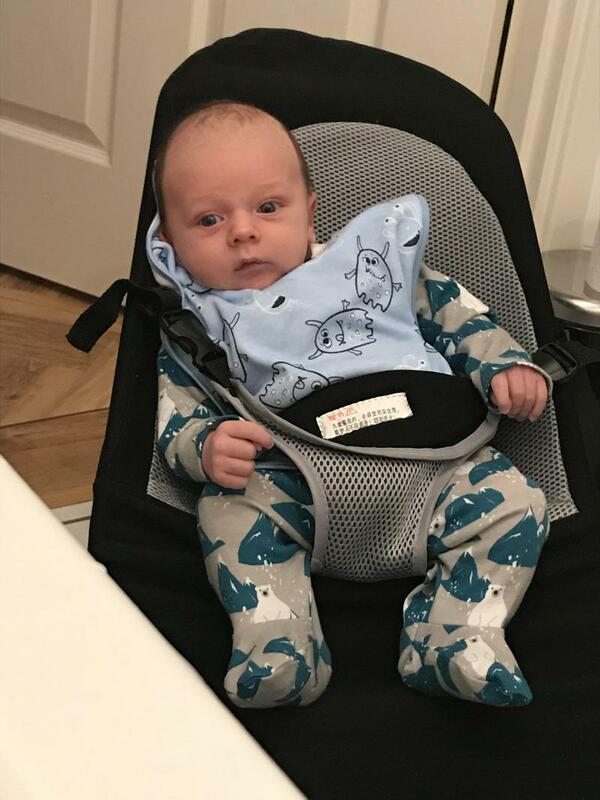 He's not usually content with being strapped in, however the ergonomic design of this chair made him feel secure and comfortable. Very lightweight and easy to move around the house/ garden. 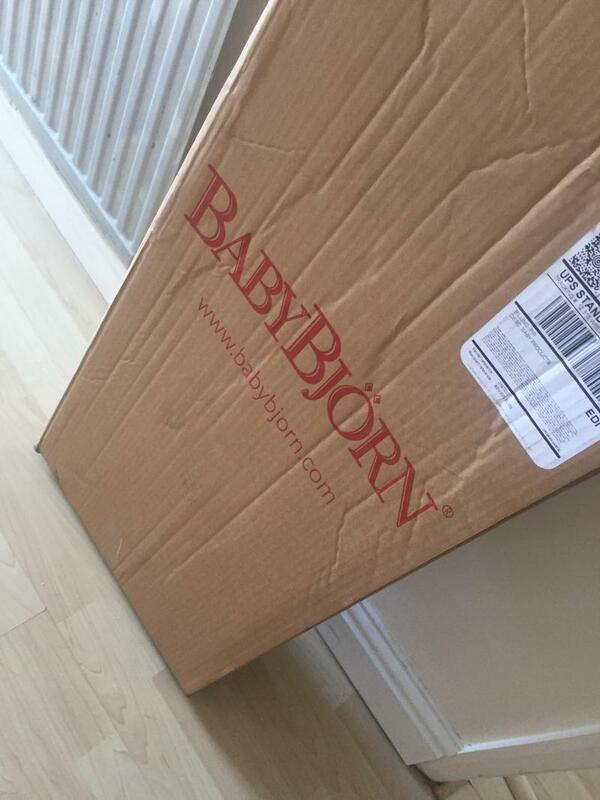 As with all Baby Bjorn products this is a robust and well made item which has a quality feel. 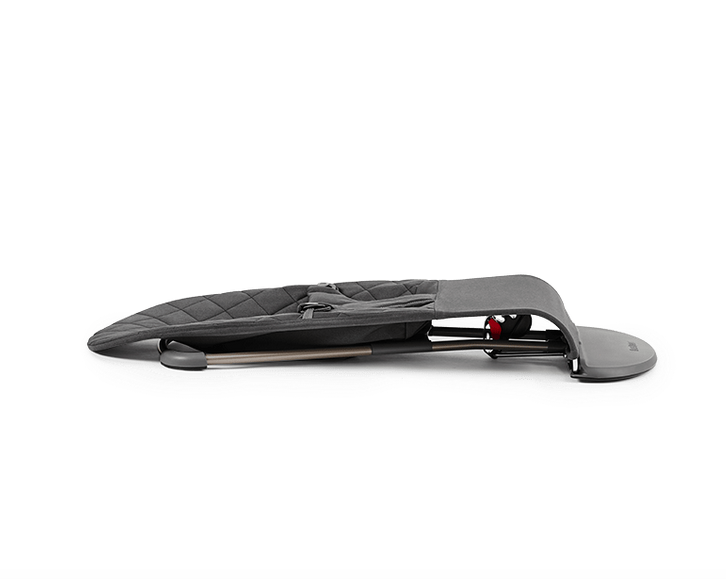 It's a bit on the pricey end, especially since its a self bouncing design- so unless you have a very talented baby, you'll need to be the powerhouse beind this rocker. Overall a handy, but pricey item to have around the house. We got this for my 4 month old as he can’t quite support his head yet. It has been a life saver. He loves it and likes to jiggle so it’s bounces. The quality of the product is fab and the fabric is wipe clean. It has 3 different height settings so will see him through his stages of growing. It collapses flat so easy to store away. Def a product worth buying. Big size, easy to set up, comfy, extra bouncy!! ITS BRILLIANT! Best chair I’ve ever used! My little boy is too chunky to go in others as he gets squished almost! This has loads of room space the layout of the chair means he can stretch his legs! He loves to be bounced to sleep and the fact the chair lays all the way back and he can still be bounced is brilliant! Another thing I love is the strap! There has been so many times I thought I’d pinched my babies skin in clipped straps but this is almost like a button and it’s brilliant so easy to get in and out!! The only downside is the price it is a brilliant chair but it is so so expensive. Is a really good bouncer the best I ever had. Is safe and easy to use and baby love it. The only bad thing is a bit expensive and Pricey. I can’t rave about this product enough, from its sleek design and easy to use function to the simple yet effective ability to fold it away to store. My little boy loves it. I would recommend the wooden toy that fits on the toy as it’s a great distraction for the little one. This will last for years. The bouncer looks great it folds flat so can easily be put away. The cover is easily removed so can be washed, its very solid and feels save and solid for baby. My son loves this but it is a little expensive. 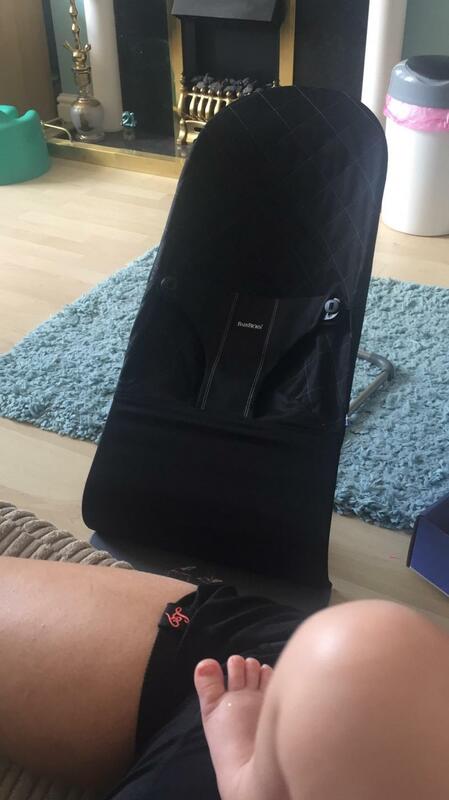 My sister bought this bouncer (or one very similar from babyBjorn) 6 years ago for her son. She then used it again for her second son before passing it onto me for my two children. With it still being in excellent condition, it was passed on to our other sister for her two children and she has recently returned it to me for my new baby. 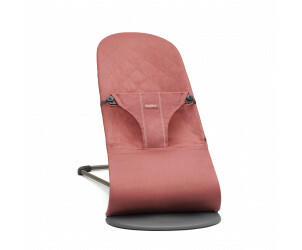 It’s so easy to use, has three different positions so the baby can lay down flat or sit up slightly if needed. It collapses flat so if you needed to travel with it, it’s really easy to do so. I’d say I’d purchase this again but this bouncer is so durable I don’t think I’ll ever need to buy a new one. Amazing product. I used it for both my children, it helped me massively in the early days I could not have done without it. It comfortably moulds into their own shape and has 3 different setting, it also can be used from birth. Washable and reversible still after two babies looks almost brand new. It’s quite expensive but well worth it plus it looks cool and less tacky then the plastic ones (we have the black one). We have one with baby 3rd. Love this product helps making dinner a lot easy. Baby loves going in this too. The 3 levels of adjusting is great he has fell asleep in this many of times too. The only down fall is that the toys you can buy for it are so expensive. Otherwise a must have great to take when travelling and visiting people. Had this purchased second handed as was scared if my baby will like it. If only I would knew... he loved it!! Used from like a 3rd week and it was so much help! 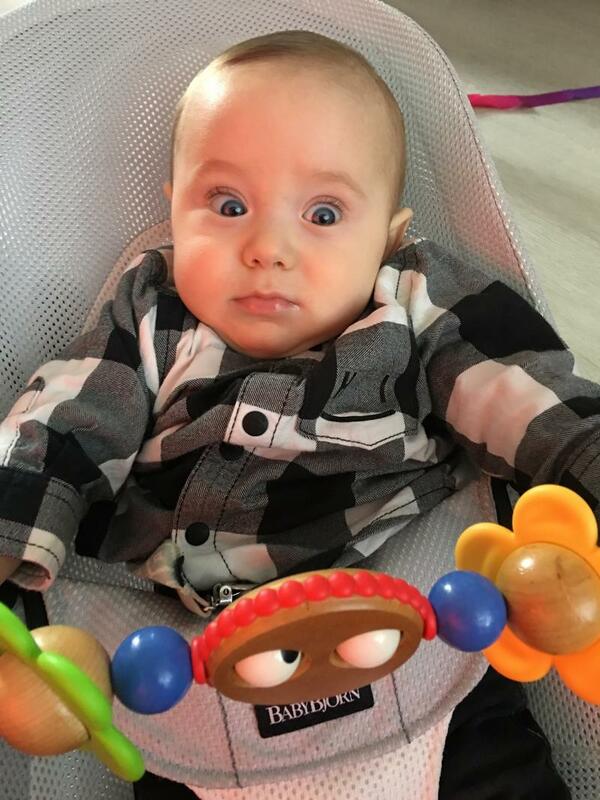 At first I would use it only for few minutes, but later on baby would swing it himself! Used it as a play area, for napping or even feeding! We purchased the bouncer 2nd Hand and it's lovely. You can fold it flat so it doesn't use a lot of space and is easy to take it with you. My little girl is 3 months now and likes it. You can adjust three different seat settings which is nice. However, it does not bounce on his own. Saves you batteries but especially for newborns it can get boring quite quick. Ours came with a toybar which entertains the little ones as well. The cover is washable which is always good with babies. It probably won't make your baby to fall asleep but it gives you some time to leave your little one somewhere safe for some time. Tried other bouncers, but this one worked the best up until 4 months. Now my baby just won’t sit still long enough. Great support for new babies, easily stored away and easy to clean. Only trouble you have to bounce manually. It is a little expensive too. 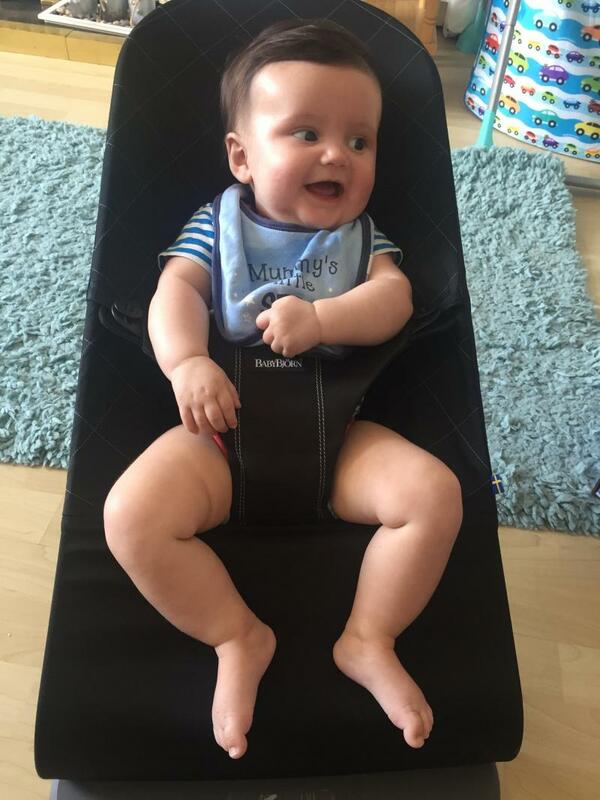 I love this bouncer got one for my son keeping it for baby number to still looks like new after he used it for 6 months he loved it bouncing with his legs fall asleep few times in it so easy to wash will get dry so quickly as well well worth the money. 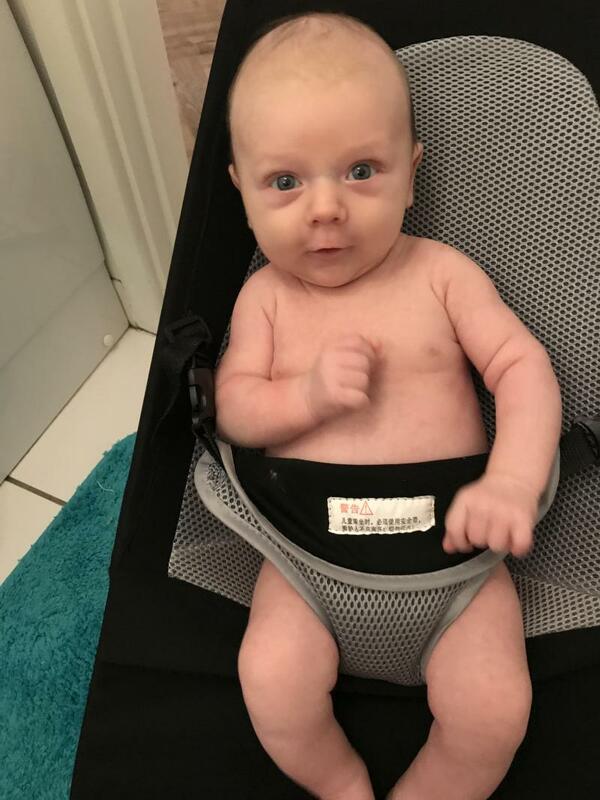 Was given this bouncer as a gift, baby loves it! He is very comfortable in it and loves bouncing away! Has 3 different seat positions which is great and the cover is easy to wipe clean or remove to wash! I have to say it is one of the best thing I ever bought. My son just loved it and he used it for almost 2 years. When he was baby he could stay in it for ages play-rest and sleep. It easy to bounce. It is stable, safe, comfortable. My son used this bouncer from birth since it was the only one I'd purschase. At first I didn't like it since it was not very comfortable for my newborn. The fabric is plain cotton, not velvety and cosy like other bouncers and there is only a seating option which is not ideal for tiny ones. Once the newborn stage gone, this bouncer appeared to be pretty good. The bouncer moves according to the baby's moves which allowed my son to bounce himself to sleep, or bounce to entertain himself. He loved it. The seat is made of fabric which can be slided on and off the frame and put in the washing machine. Very easy to clean. In all, a good bouncer which is ideal from 2 months onwards. 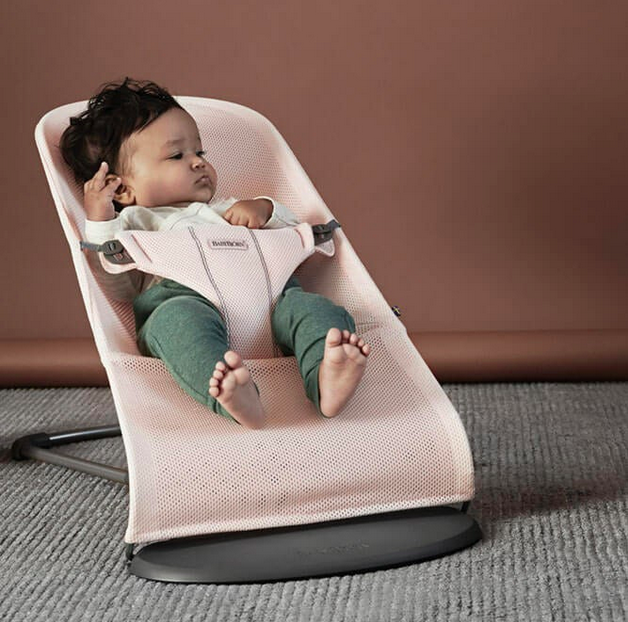 The new Bouncer Bliss from Babybjörn is a cosy place for your baby to play and rest while you get a chance to take a shower or prepare a meal. 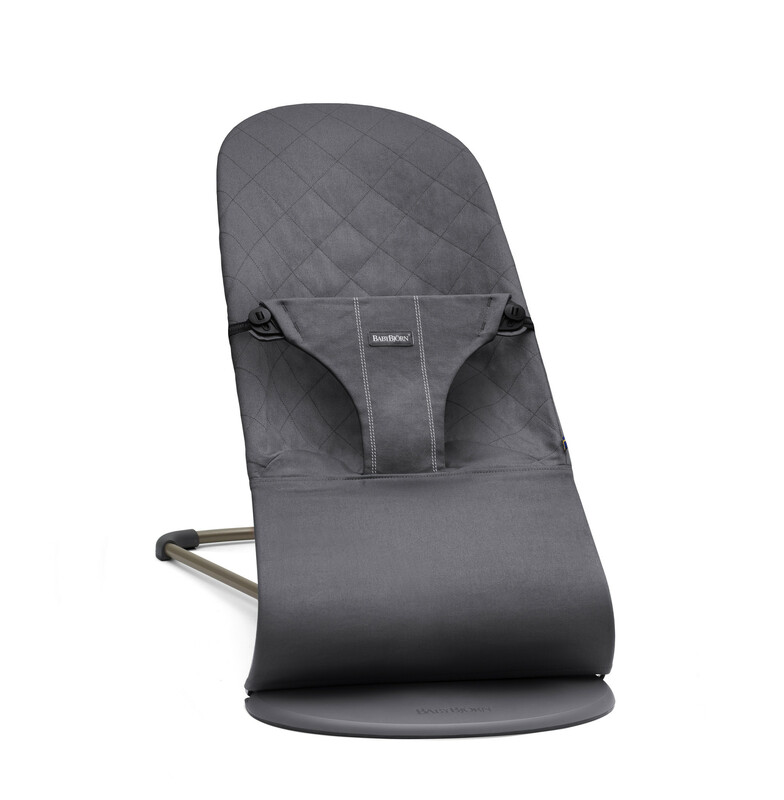 When your baby kicks their legs or waves their arms, the bouncer bliss moves smoothly. You don't need any batteries, the baby bouncer runs on pure fun! The baby bouncer also helps your baby to develop their motor skills and balance. It can be used from newborn and up to the age of 2 years.